On Monday August 22nd 2016 the Rotary District Governor Peter West visited us at our lunchtime meeting at the Mid Kent Golf Club. His visit coincided with a visit from Gerald Agibarakwe of Nigeria . New to Gravesend, Gerald has family connections with Rotary back home and obtained our details from this website. 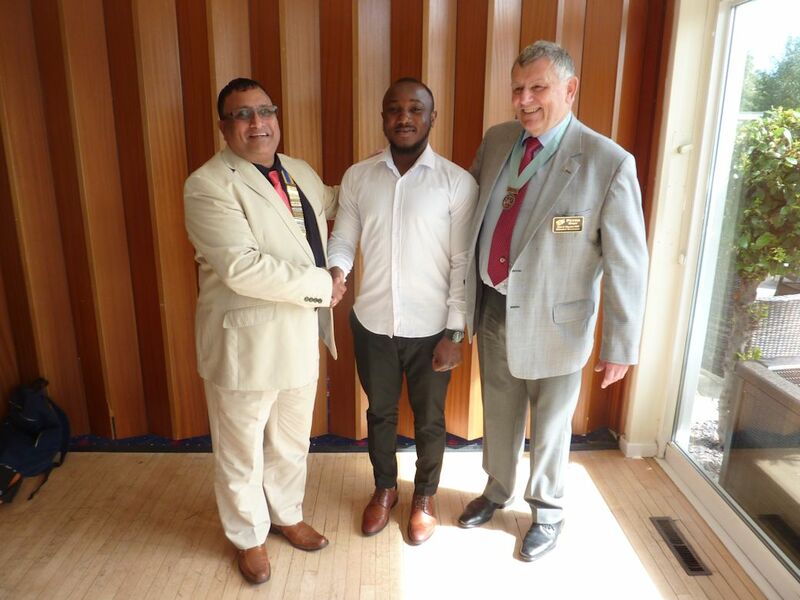 He is pictured with our President Dilly Singh on the left and the District Governor on the right.